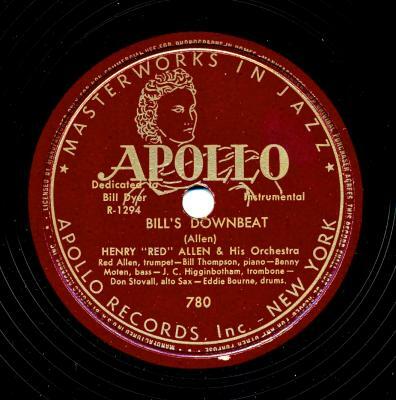 Henry "Red" Allen and his Orchestra performing Bill's Downbeat / Shanty in Old Shanty Town. Record is in VG+ / VG++ condition, plays beautifully. Labels are good, number written on one side. 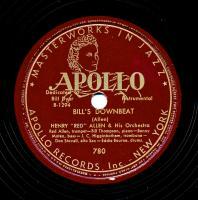 1948 issue; recorded in New York, probably early August, 1947. Terrific and Scarce Small Band Swing Jazz 78 in Very Nice Condition.